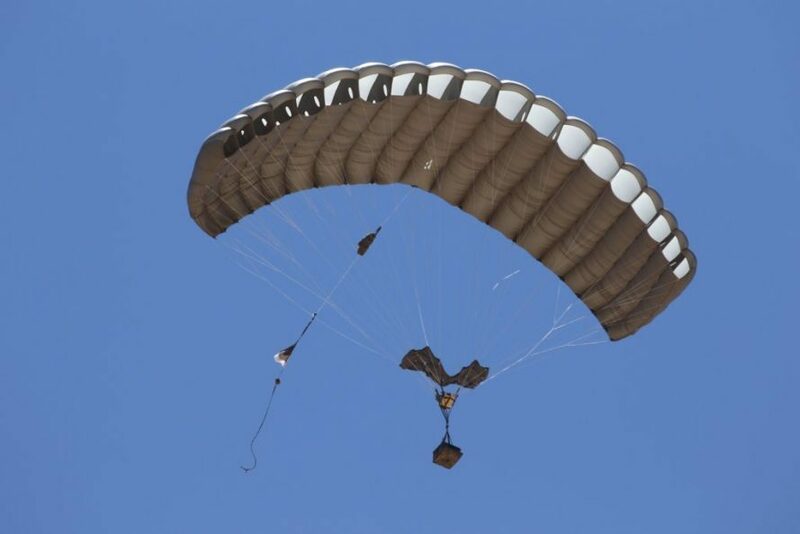 SE SFTE “Spetstechnoexport”, a part of the State Concern “Ukroboronprom”, has successfully completed a contract for the supply of special purpose paratroop systems for airmobile insert and military cargoes airdrop systems, that are manufactured by the American company Airborne Systems North America. The equipment will be used by the air assault troops of the Armed Forces of Ukraine. Before the military units have started operation of the new paratroop systems, Spetstechnoexport organized trainings for military instructors by specialists of the American company. The Ukrainian militaries have mastered the peculiarities of using and servicing the new equipment. Taking into account the successful experience of cooperation between Spetstechnoexport and Airborne Systems, the parties are preparing for new projects, which will improve the effectiveness of combat missions held by the Ukrainian air assault forces. Also, in February 2019, the delegation of the Armed Forces of Ukraine and Spetstechnoexport made a working visit to the United States of America. After studying the experience of paratroopers and military cargoes precise landing, the Commander of the Air Assault Forces Armed Forces of Ukraine confirmed the interest in expanding cooperation with Airborne Systems. According to Lieutenant General Mykhailo Zabrodskiy, such cooperation is a significant step in the development of Air Assault Forces of the Armed Forces of Ukraine. “We have been working closely with Airborne Systems for several years and are very pleased with their products”, – said Mr. Zabrodskiy. Recall that since 2014 “Spetstechnoexport” is actively developing cooperation with the defense companies from the United States, Canada, the EU, Turkey and Israel to supply innovative products for the needs of the Armed Forces of Ukraine.